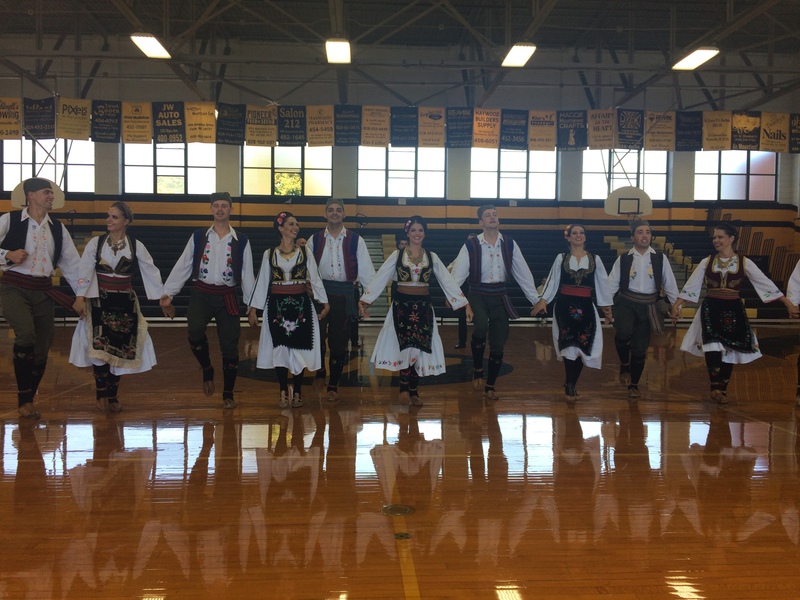 On October 13th all three grade levels of students at Waynesville Middle School were treated to a performance by the Serbian folk group Talija. Throughout the performance the school’s gym was filled with cheers from the audience and spirited music played live by a four-member ensemble that accompanied the dancers. This visit was sponsored by Folkmoot USA.